Crafters Companion > Blog > Who doesn’t like a free gift? Who doesn’t like a free gift? How exciting! Spend with us throughout this week and you’ll receive a special free gift! 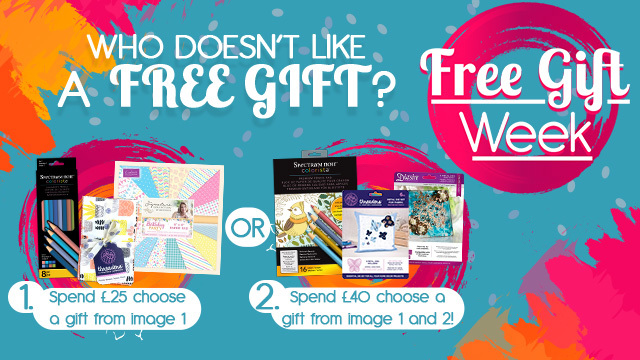 Spend over £25 (after discounts and before shipping) and choose one free gift from image 1! 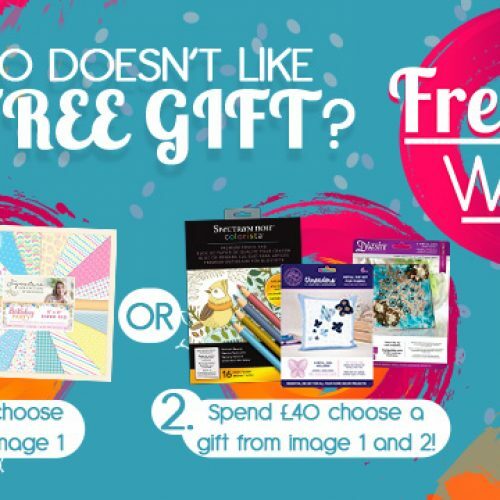 Spend over £40 and choose a free gift from image 1 and a free gift from image 2! Don’t worry! We have plenty of stunning NEW products on our website, so you can take full advantage of this fantastic deal! But hurry, this offer is only available this week and ends midnight Sunday 1st October. So what are you waiting for? Get your hands on some extra-special freebies today! Shop the full Black & Gold collection from Sara Davies now! Shop our brand new range of stamps!